Its taking place this weekend, on September 5th, 6th and 7th at Quinta da Atalaia, Amora, Seixal, the Festa do Avante . One of the biggest cultural events in Portugal. Also itaccessible to all. 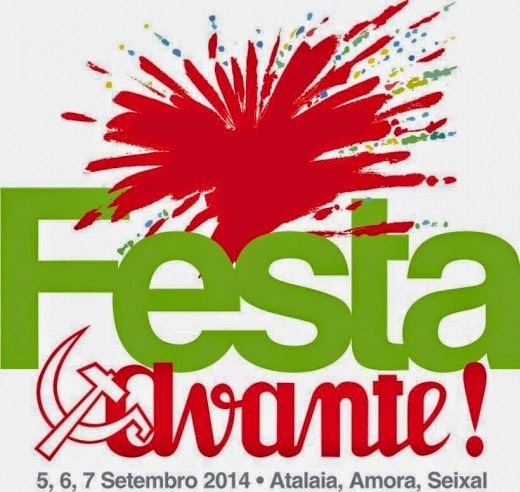 The Festa do Avante isorganized by the Portuguese Communist Party (PCP) with a strong volunteer component, but make no mistake–those who think this partyis only for communists. This event is for All. During the three days of the eventyou can watch plays, performances of folk dancing, music concerts andsporting events. Since its begining , the organization of Avante has always sought to create the best conditions for the access of people with disabilities, particularly with the construction of access ramps to WC’s and the various existing spaces. In Avante there is also adapted sports. Every year about 15 thousand atheletsparticipate in activities ranging from Boccia, pass through to chess,karate and Goalball. There is a shuttle bus adapted in collaboration with different entities from various places (Lisbon, Almada and Seixal) Party up thereand parking places nearby, from which it is possible to access the inside inthis adapted vehicles. For more information call 212 224 000. ‹ Previous" Avante! ", uma festa para Todos. Next ›A infraestrutura inclusiva acrescenta valor ao Turismo.